- Support of all possible DLC on accessories and flags. - Support for coloring - not complete. Coloring on the roof to go to is not entirely correct. - Added several options for chassis and cabs. In mods, with the permission of the author, there are some materials from AlexeyP, piva and Vasily EVR. Currently supported game version: 1.34 work on other versions - is not guaranteed. Attention, before updating the mod, be sure to finish all the shipping and sell the old bdf-truck !!! Attention, if you are using a mod for physics - in the mod manager, install the mod on physics BELOW addons DAF_XF_by_vadik_v.6.1 and Kraker/NTM_for_the DAF XF by vad&k!!! 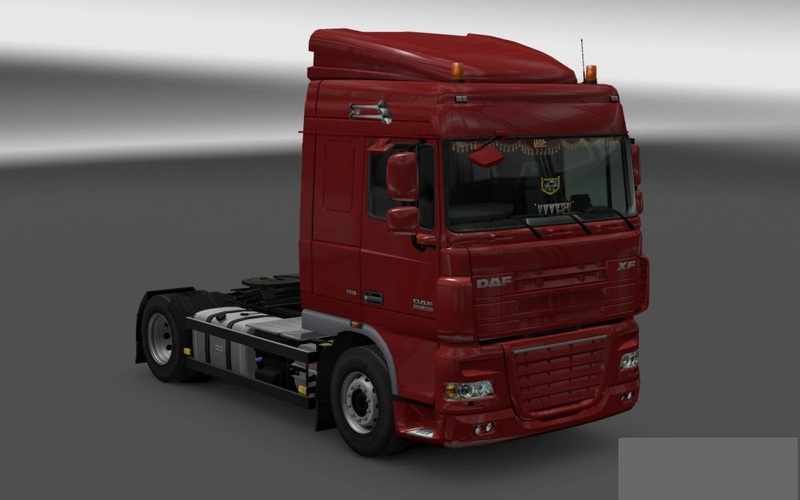 do not forget to make changes to the configuration files that are in the \def\vehicle\truck\daf.xf\chassis and \def\vehicle\truck\daf.xf\cabin!!! - internal cabins of Space Cab and Space Cab Plus cabs were altered. - fixed bugs and more. Please keep the author links!! !